Well no, TT did not win anything at the Grammys. 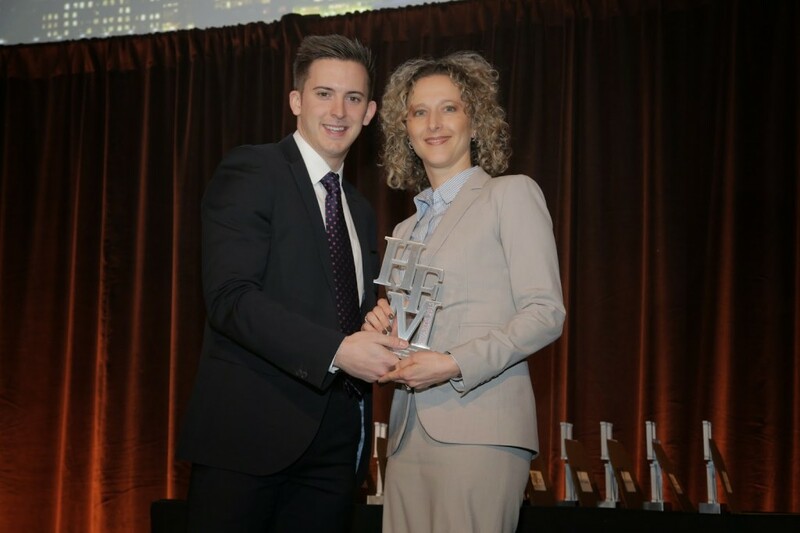 We did, however, take home both “Best Trading and Execution Technology” at the HFM U.S. Technology Awards and “Best Overall Technology” at the CTA U.S. Services Awards. The CTA Intelligence Services Awards honor firms that have provided outstanding support and services to the North American managed futures industry, while the HFM U.S. Technology Awards recognize hedge fund technology providers that have demonstrated exceptional customer service and innovative product development. “Given the strength of the contestants, it is quite an accomplishment for Trading Technologies to earn honors in both the HFM and CTA awards. With unique features like MultiBroker, order passing and ADL, TT’s X_TRADER platform gives traders a combination of flexibility and power that makes it a top technology offering for both CTAs and hedge fund managers,” said Matt Smith, head of content for CTA Intelligence. This sentiment was echoed by Chris Matthews, HFMWeek technology correspondent. It’s great to know that hedge funds and CTAs find our X_TRADER® trading solution to be so compelling, but what’s coming with our next-generation TT platform is even more exciting. Before I talk about TT, it’s worth recapping some of the recent enhancements we’ve made to our current X_TRADER platform aimed at delivering edge for our users. We announced Aggregator and Yield by TT last November while growing MultiBroker to include more than 30 brokers since its 2013 launch. MultiBroker is rapidly breaking down long-time barriers to entry and providing buy-side firms of all sizes with easy access to our entire suite of trading tools, including Autospreader®, Autotrader™, ADL® (Algo Design Lab) and TT SIM™. Along with the continuous enhancement of our trading tools and networks, our recent push deeper into Asia has played a large role in providing hedge funds and CTAs with access to new investment opportunities. Most importantly, in 2014 we added connectivity to Hong Kong Futures Exchange Limited’s Hong Kong Exchanges and Clearing (HKEx), which is one of the largest derivatives exchanges in Asia by volume. HKEx is home to futures and options on the benchmark Hang Seng and Hang Seng China Enterprises (or H-shares), indexes, a wide range of stock options and Renminbi currency futures. Last month, several of my TT colleagues attended MFA Network 2015 and Context Summits Miami, which are two of the buy-side industry’s most important events. Not surprisingly, discussion was heavily punctuated by regulatory, compliance and risk management concerns. These themes have been inescapable for several years, and they show no sign of receding. But with that, another theme has emerged: buy-side firms want to control their own destiny. We first saw this a couple of years ago, as our MultiBroker solution was gaining traction. At that time, buy-side customers were telling us they wanted to be able to control the ability to route orders to multiple brokers through a single network, from a single screen. They’ve had these abilities now through MultiBroker for nearly two years. Now the desire to be in control has grown to new levels. Firms increasingly want the flexibility to choose technology, hosting and connectivity options for themselves and to contract with providers directly. The buy side wants to decide for themselves, based on the demands of their trading strategies and styles, which markets, automated tools and algos their traders can access. And lastly, while control is key, it can’t come with the added burden of managing additional resources and dedicated infrastructure. The buy side wants services, not servers. That brings us to TT. While the market has enthusiastically embraced X_TRADER, our customers tell us they’re even more excited about the coming launch of the next-generation platform, which we’re simply calling TT. The new TT platform, which will be distributed via the software-as-a-service (SaaS) model, is scheduled to be commercially available in the next few months. Based on the response we’re getting from our growing base of early-stage users, we think it will be a revolutionary step for the industry. What makes this especially exciting is that all this will be delivered in a zero-footprint, fully hosted, high-performance trading ecosystem. You can learn more about our next-generation TT platform by following @Trading_Tech and #PreviewTT on Twitter, or you can sign up to receive email updates.